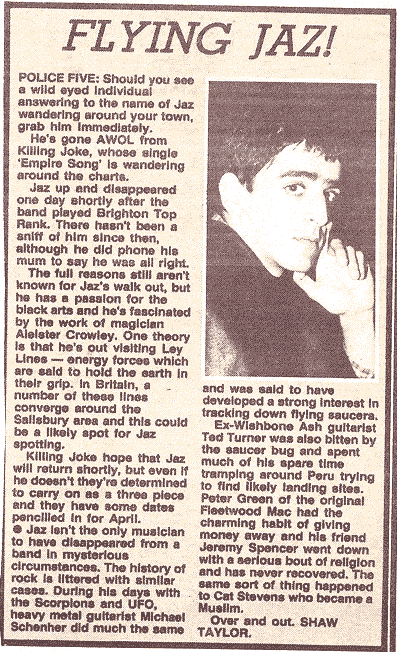 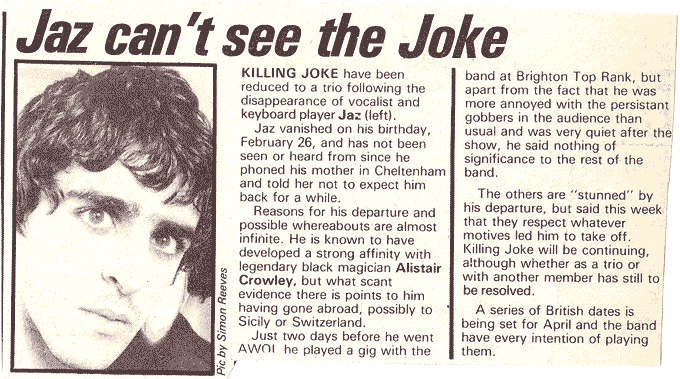 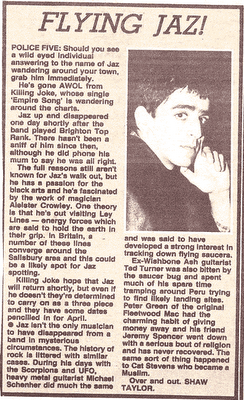 As known to older fans and mentioned also in the history page of KJ's official website, in 1982, Jaz Coleman under the influence of occultism and especially of the works of Aleister Crowley, got the idea that the Apocalypse was imminent. 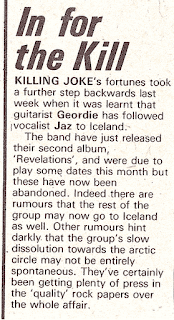 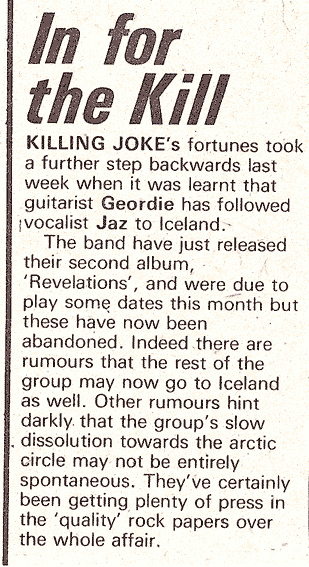 First him (on the day of the 3rd anniversary of Killing Joke's formation) and then other members of Killing Joke travelled to Iceland and remained there for several months. 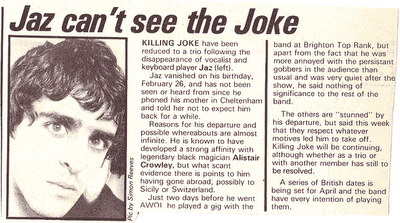 Thanks to S.Savage.G for the above clippings.